The notion of “effective professional learning” is something that has been discussed for decades. A comparison in the philosophies of today’s school districts yields results that falls across a continuum of who controls the learning. Although recent studies indicate that the top-down, one-size-fits-all, hours-based, sit and get approach to professional learning shows little-to-no impact on student achievement, many districts continue down this path. Why? It’s simple. Counting hours for a contract and making “accountability” based on seat time is easy to calculate. A one-size-fits-all “PD day” is efficient to organize. Equating seat time with accountability is teetering on the edge of negligence. Similar to student attendance, seat time simply tells us where a person is located on earth at that point in time. Nothing more. When we measure seat time, we’re measuring the wrong end of the learner. When it’s hours we count, it’s the hours that they’ll value. Professional learning in many districts must undergo radical reform, from a model that’s outdated and ineffective to one that’s personal, relevant, and engaging. How can school districts start to move in this direction? Clearly Define and Articulate the Vision. Do all stakeholders understand the district’s direction? How should instruction improve due to the time that’s invested? How will students benefit? Can the vision be articulated by all staff members? Do staff members help formulate that vision? Is the vision only one year or more long term? Model: Practice What You Preach. How school leaders run faculty meetings and inservice time should be a direct reflection of the type of instruction they are seeking in the classroom. Anything else is hypocritical. Staff will rise to the level of the bar that is modeled for them. Learn alongside your staff members and model expectations for them. Utilize time in an efficient and meaningful manner. Invest the time in professional learning, not managerial tasks. Model and share your learning throughout the process. Learning Should be Anytime, Anywhere. Today’s educators are teaching the Netflix generation of kids. Today’s students expect content to be available on demand; anytime, anywhere. Today’s schools must work to provide a robust, digital curriculum where high quality content is available round the clock. Samsung has created a powerful Infographic (see bottom of post) that gives a great visual overview of what it takes to do so comprehensively. As such, and to mirror today’s instructional expectations, today’s school leaders must work to provide and empower anytime, anywhere learning opportunities for teachers. From professional learning modules to social media, opportunities for learning through high quality digital content must be available for both teachers and kids. Balance District-wide Initiatives with the need for Learning that’s Personal. For decades, school leaders have expected teachers to “differentiate for students”. Yet, quite often professional learning philosophy is the complete opposite of this expectation. With students, the expectation is to “meet them where they are” or “teach at the speed of learning,” and yet current practice is often “hurry up and do it this way.” Maintain a laser focus on the vision, while meeting the individual needs of staff members through a more personal approach to learning, which happens only by abdicating some control. Move from Hours-based to Outcome-based Accountability. What’s more important, hours or learning? When it’s seat time we measure, it’s the hours we value. But is that what is best for personal growth? Districts having success in this area are moving professional learning to an integral part of the supervision process, where teachers have voice, choice, and own their learning. Teachers should work side by side with supervisors to develop goals that specifically outline a plan for growth, both short and long term, and then be held accountable for results. Districts must work to foster a culture of professional learning communities, job-embedded learning, peer coaching, etc., to support teachers in the growth process, not limiting “what counts” in the process. Supervision conversations must move from “I attended …” to “I learned and then implemented …” Non-traditional forms of professional learning such as EdCamps, Twitter Chats, and the utilization of tools such as Voxer to connect and communicate are valuable experiences for educators. No longer should “that doesn’t count” be heard. Shift the Culture of Professional Learning. All staff must recognize that professional learning shouldn’t be viewed as set calendar days per school year, but as an ongoing, daily culture of learning. Professional learning is a personal responsibility, not a few additional days built into a teacher contract or a handful of after-school workshops. Stop spending the time. Start investing it. Do so every day. 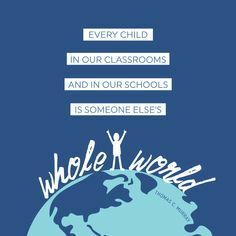 Educators, YOU are responsible for your own learning. Not the people who sign your paycheck. Empower Staff to Design their Own Learning. Districts have incredible expertise sitting in their own classrooms yet often underutilize their own staff as part of the professional growth process. Teachers will see value when they are invested in the design process. Find ways to grow teacher leadership and build capacity in your staff. Quite often, we trust teachers with the lives of children every day, yet don’t ‘trust’ them enough to help design their own learning. School leaders that are fearful of abdicating some of this control may very well be standing in the midst of a toxic culture. “Teacher voice” is prominent in all effective professional learning models. Too often, “professional development” is something that teachers feel is done to them; not something they are a vital part of. Districts need to seek out teacher feedback as to what’s working, what’s relevant, and areas needed for growth. Is what you’re doing valuable in the eyes of your staff members? What do your best people think? (Thanks Todd Whitaker for the reference.) Measure the effectiveness of your model by soliciting feedback from all stakeholders on a regular basis. Adjust and personalize accordingly. To shift pedagogical practices, professional learning must be a core value of all stakeholders and an ongoing, outcome-based process, where the accountability for the growth of all is high. 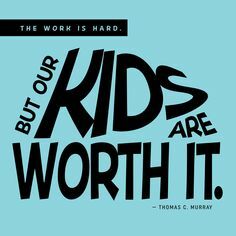 Our students need, and deserve, this type of mindset.